Free CMA on your current home. We can tell you how much to expect from the sale of your home. Speak with your "out of state" Realtor to begin your new home search. We can recommend and put you in touch with a Certified Residential Specialist Realtor in the State/Town of your choice. Your new Realtor can begin your search with you from the comfort of your current home. 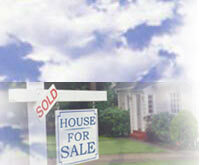 We can sell your current home while you begin to look for your new home. We can help untangle the decesion of what the next step may be in home ownership. Whether to rent or buy your next home. Which is best for you. Location, Location, Location! Where to go from here? We can help.